The 2014 midterm elections brought about much change in the United States Congress. The Republican party gained seats in both the House and the Senate, bolstering an already wide majority in the House, while claiming a new majority in the Senate. Reasons for this are myriad, and many people smarter than myself have analyzed the causes ad nauseam. However, one clear effect of this electoral change is that major Senate committees will be led by Republicans. And that includes committees that will shape Congressional science policy. Throughout the years, the United States Government has helped lead the way in science research and policy. Science, and applications of said science, are vital to not only our understanding of the world, but our survival as well. As we humans rely more and more on technology, we often understand less and less how that technology operates, as well as its effects. A slight digression: Science actually deals less in “facts” than people realize. A theory is not “less true” than a fact. A theory is an explanation, repeatedly tested, that describes observed phenomena. This means evolution and climate change are “just theories.” So is gravity. And germs. However, people died of the plague for centuries before germ theory was discovered. And mutations continued to occur well before Darwin. Human understanding of science isn’t a prerequisite for its existence. Climate change is a bit different, in that data estimating global temperatures has really only existed for 150 years or so (although estimates of global temperatures can be made going back millennia, and even aeons). That data is quite conclusive. The details of which can be found all over the place, in books, papers, and online. But the basic gist is that 97 to 98 percent of scientists that study climate and related topics agree that the Earth is experiencing significant warming, and that the primary reason is humanity. The only reason anybody has to doubt this anymore is if they’re attempting to prop up a political position. And that segues nicely to the point of this post. With the new Congress, several key committees are changing leadership. Unfortunately for not just science, but human progress in general, these posts are going to be run by individuals who outright deny science. Just one week ago, Senator Ted Cruz of Texas was named chairman of the Subcommittee on Space, Science, and Competitiveness. This means, that among other things, Ted Cruz is going to oversee NASA. Now, as far anyone can tell, he should not prove to be a major impediment toward NASA’s primary mission of space exploration. While not emphatic in his support, he has been quoted saying things that should generally comfort supporters of the space program. However, NASA does quite a bit more than launch probes and man the International Space Station. They contribute more than almost any other organization to the study of climate change. NASA has done quite a bit to advance our understanding of global warming. It helps to be the ones who launch most of the satellites. Senator Cruz is wrong about this. Dead wrong. Hard to say if it’s political pandering, plain ignorance, being a corporate shill, or most likely a combination of the three. But a man who claims that climate change has paused since 1999 is guilty of a dangerous lie. And when he oversees the organization that studies climate change… well, this is pretty scary. Ted Cruz wants Americans to believe that all is well, the Earth is not warming, and if it is, humans aren’t to blame. When pressed about these beliefs, he throws out the tired canard “I’m not a scientist.” No, Ted, you’re not. Maybe you should leave science policy to those who understand how important it is. Ted Cruz being in charge of the NASA budget is bad enough. But wait, there’s more! Senator Marco Rubio of Florida is going to chair the Subcommittee on Oceans, Atmosphere, Fisheries, and Coast Guard, which itself oversees the National Oceanic and Atmospheric Administration (NOAA). NOAA, like NASA, is also incredibly important to the advancement of climate science and policy. And like Ted Cruz and NASA, the new chairman watching over NOAA opposes that part of NOAA’s mission. Rubio also believes that climate change is not a serious threat. In May of last year, he stated, “I do not believe that human activity is causing these dramatic changes to our climate the way these scientists are portraying it.” Senator Rubio is not just a climate change denier, however. He also has admitted that he’s unsure that Earth isn’t 6000 years old. When pressed to explain himself, he hemmed and hawed and eventually weaseled out with the “I’m not a scientist” line. Obviously he’s not. But one doesn’t need to be a scientist to know the Earth is 4.5 billion years old. If he is going to be responsible for much of American science policy, that’s the type of basic information he should know. Marco Rubio, by the way, has received more than a quarter million dollars from the oil and gas industry since 2009, including $32,200 from Koch industries. Clearly his campaigns have been well-rewarded for his willingness to pander to industry and further endanger the future of humanity. 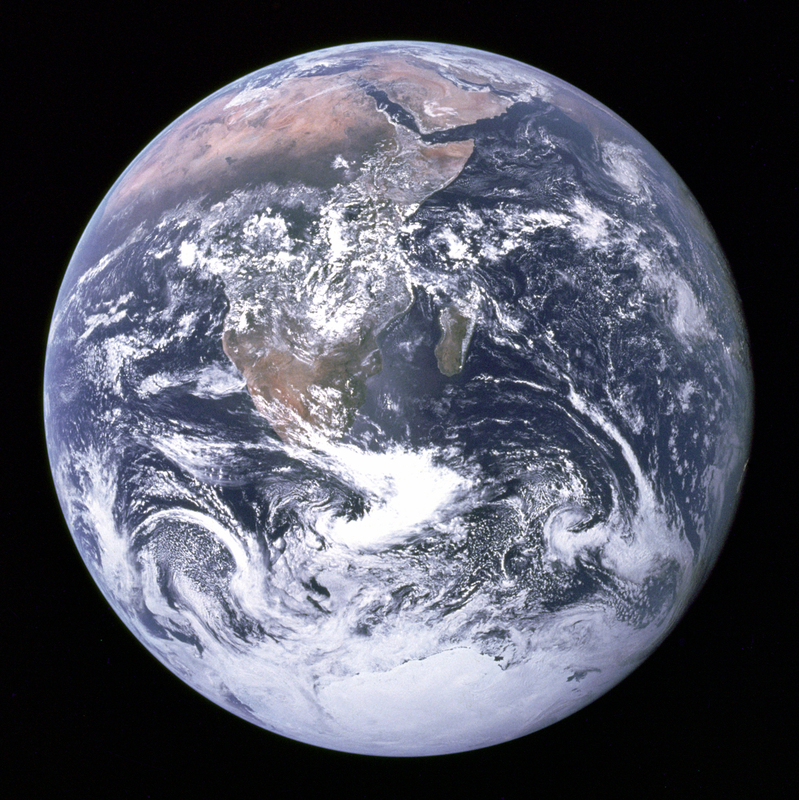 · Inhofe quoted Genesis 8:22 to refute climate change in 2012. Essentially, God wouldn’t let humans damage his creation. · Like Ted Cruz, Inhofe repeated the claim that global warming has stalled for the last 15 years. So, to summarize, Inhofe doubts global warming is even occurring, but then will argue that it’s actually good if it does. And we shouldn’t worry, because God will protect us. It means so much to him to prevent action on climate change, that he wrote a book on the topic, and warms of economic catastrophe. James Inhofe, Marco Rubio, and Ted Cruz are three of the most powerful and influential members of the United States government, and are all able to influence how the United States takes on the challenges of climate change. But they’re not alone. The new Republican Congress includes 131 Representatives (that’s 53% of their House caucus) and 38 Senators (70%!) that have publicly denied the existence of human-caused climate change. Senator Joni Ernst of Iowa, who appears to be Michele Bachmann’s successor for the title of Most Belligerently Stupid Senator (alternative award – Least Likely to Think Before Speaking), has stated that she just doesn’t know either way. Senator Thom Tillis of North Carolina simply stated “No,” when asked during a primary debate if climate change was a fact. An excellent ThinkProgress article from January 8 noted that the non-climate deniers in the Senate accepted less than 25% of the per-person donations than the climate deniers, from the coal, oil, and gas industries. In the House, the rational members accepted just 29% of the total funds accepted by the anti-science contingent. This is not a coincidence. Beyond vote pandering, and occasional fundamentalist religious beliefs, the biggest reason why American legislators deny science is because their corporate buyers have paid them to do so. The fossil fuel industry has deep pockets, and is fearful of changes that will bring about its eventual downfall. This is serious stuff. The Earth is warming. Humans are a major (if not the major) reason for this. Our reliance on fossil fuels, the American obsession with cars, and factory meat production all directly (and indirectly) impact rising global temperatures. A warmer planet means problems for humanity. Stronger storms, harsher droughts, greater extremes in local weather, and of course, rising sea levels. Many of the world’s great cities and a great deal of industry and commerce is based along the shores of the oceans. That type of infrastructure isn’t easy to simply pick up and move. Rising oceans will risk all of these things. We have the knowledge and the ability to arrest the pace of global warming, if we get moving on it now. Incremental measures aren’t going to cut it. The problem is, those who have the greatest ability to enact policy are the ones who are opposed to it. Greed and ignorance have gripped the United States Congress, and for at least two more years, science policy is going to be largely dictated by the industries that are the cause of our warming planet. Science isn’t just a hobby for geeks. Science is also more than mere theory and research. Science allows us to understand the world and our impact on it. Science helps us to understand that the Earth is warming rapidly. Science helps us understand that humanity is the primary culprit, and that this is, you know, a bad thing. If the United States government – an institution with the wealth and power to lead the world on almost any issue – is unwilling to utilize the tools of science to combat climate change, then we as a species are going to have a hard time over the next few decades. For those who care about the future of their only home: Pay attention to the news. Keep an eye on what Congress is doing. Write to your Congressperson. Talk to others. Help to fight the corrupting influence of corporate money in government. And keep educating yourselves and others. Complacency is the enemy here. The stakes are too high to allow ignorant, corrupt ideologues to continue to muck up the world. This entry was posted in Governance, Politics, Science and tagged awful people, bad policy, climate change, Congress, environment, EPA, global warming, government, greed, ignorance, NASA, NOAA, Republican, republicans, science. Bookmark the permalink.